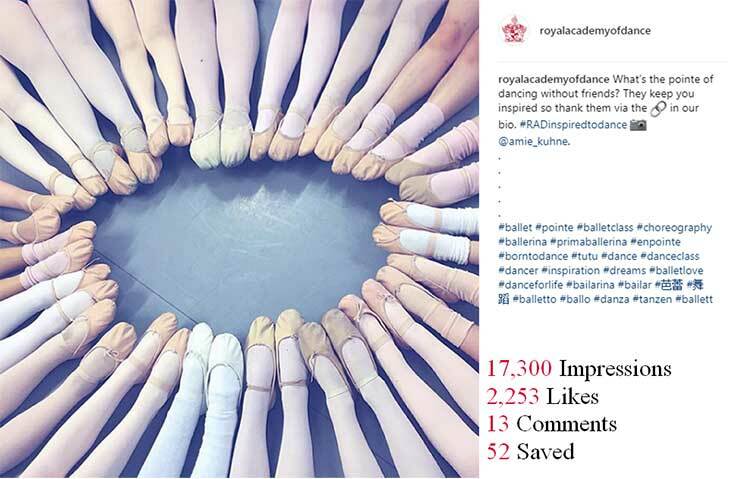 The Royal Academy of Dance used an Instagram campaign to increase engagement with members and other followers. What did they learn? 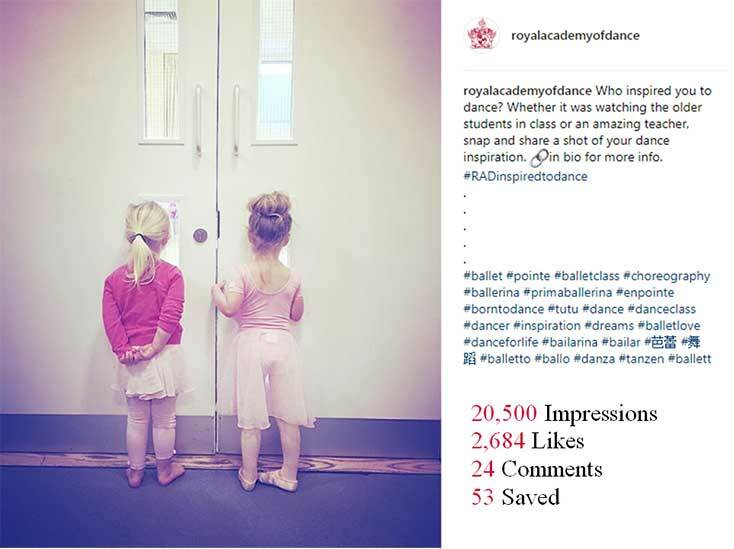 Part of the MemberWise community, the Royal Academy of Dance (RAD) rolled out its first Instagram membership campaign in 2017 to increase engagement with its 14,000 members (including professional dance teachers) worldwide. As a global organization, social media plays a big role in engaging members; RAD has accounts on Facebook, Twitter, Instagram, LinkedIn, YouTube and Vimeo. 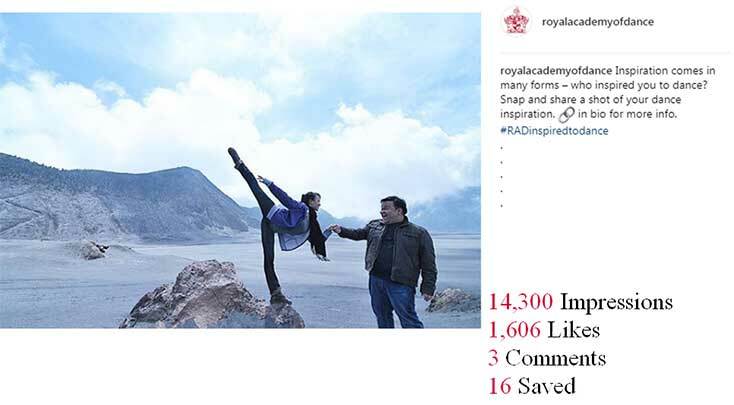 Instagram, however — which the RAD joined in September 2015 — was used primarily to target students, dance enthusiasts and the general public, rather than focusing on members. 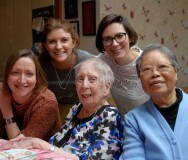 From 2011-2016, the RAD ran a photo competition for members, promoting it on Facebook and Twitter, as well as through email and print newsletters. In summer 2017, the organization decided to try something new, launching the Inspired to Dance campaign on Instagram asking members to submit a photo of who or what inspired them to dance. Plus, as Naik explains, “it’s difficult to use the platform for hard selling because copy is truncated and often followers will not click to read more.” Links in the post copy are also not hyperlinked which means it takes users an extra step to leave the platform and visit the RAD website. How did the RAD measure success? And how did they do? To enter the photo competition, Instagram followers had to visit the RAD website. Naik included a tracking code in the RAD’s Instagram bio to keep tabs on how many people were clicking on links. In total, there were only 77 link clicks over the two-month period that the campaign ran. 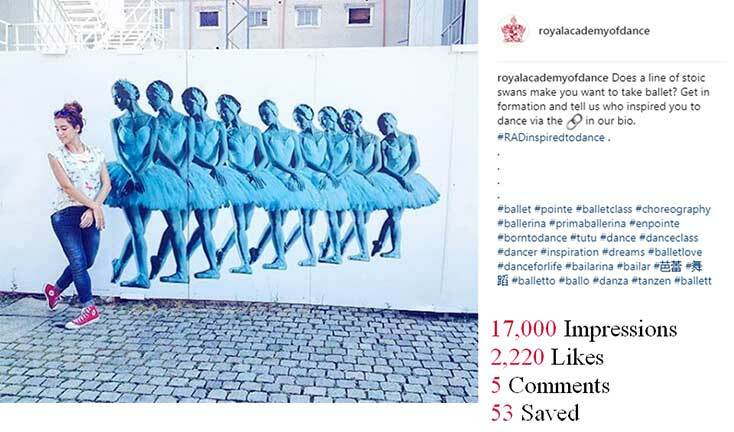 Overall, RAD posted eight Instagram posts (one a week, over the space of two months) garnering 128,000 impressions, over 15,000 likes and almost 80 comments. What about Instagram followers? The organization generally sees a gain of 1,000-1,500 new followers monthly (all organic rather than paid for), but wasn’t able to determine who followed specifically as a result of the campaign. What helped the RAD achieve this level of engagement? In January 2017, the charity had adopted a content-led approach for Instagram that prioritizes imagery over sales messaging, and a focus on community engagement, not conversions. 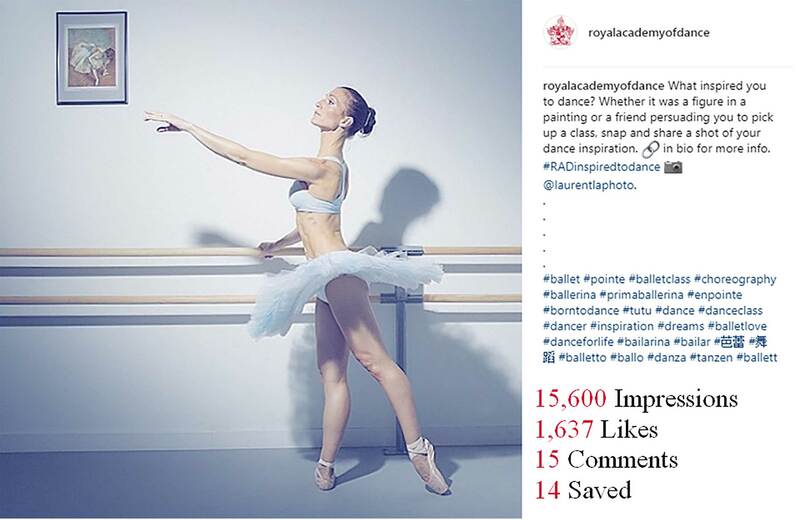 The team used this approach when planning content for the Inspired to Dance campaign. Instagram followers expect striking imagery and minimal text: “While you can get away with mobile phone photos on Twitter or slightly lengthier copy on Facebook, we have found that our Instagram audience is very discerning,” says Naik. But it’s not just about looking at a single post or one image at a time. “On Instagram, it’s important how your profile looks as a whole,” says Naik. “Your grid should have a consistent look and develop a predictable aesthetic.” The RAD’s Instagram images are generally light, bright and sharp with pink and blue hues, and carefully edited in PhotoShop or in the Instagram app itself before being posted. 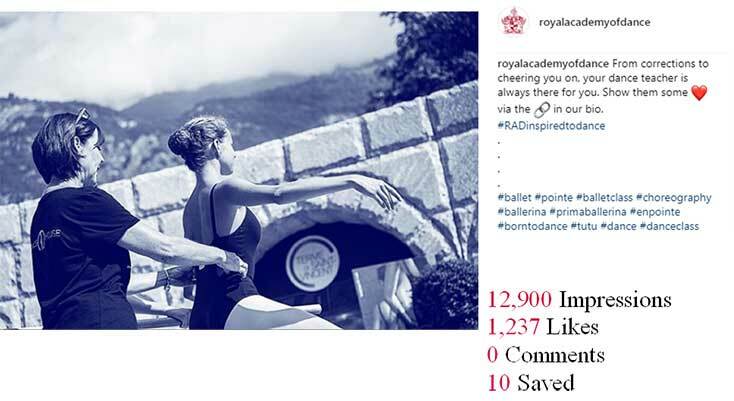 The Royal Academy of Dance presented its Instagram campaign at the MemberWise Digital Excellence conference in 2017. Find out how membership organizations can use digital to recruit, retain and engage members at the London-based MemberWise Digital Excellence 2018 conference. 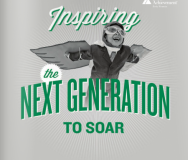 Read about how the World Association of Girl Guides and Girl Scouts (also part of the MemberWise network) has introduced new digital tools and technology to recruit global members. Writer, editor and proofreader specializing in case studies, web copy and impact reports.